This quirky Happy Bird necklace from Soonsalon shows not only the expertise of 3D printing, but also their own style and outlook on life. They bring spring into your life and put a smile on everyone's face. The chains are made of nickel-free black metal and the pendant is 3D printed with 100% polyamide. This Happy Bird necklace is available in stylish purple and bright colours such as orange, red, yellow, black, blue and white. The hanger is 5 cm long and has a diameter of 3.2 cm and the chain is 90 cm long. 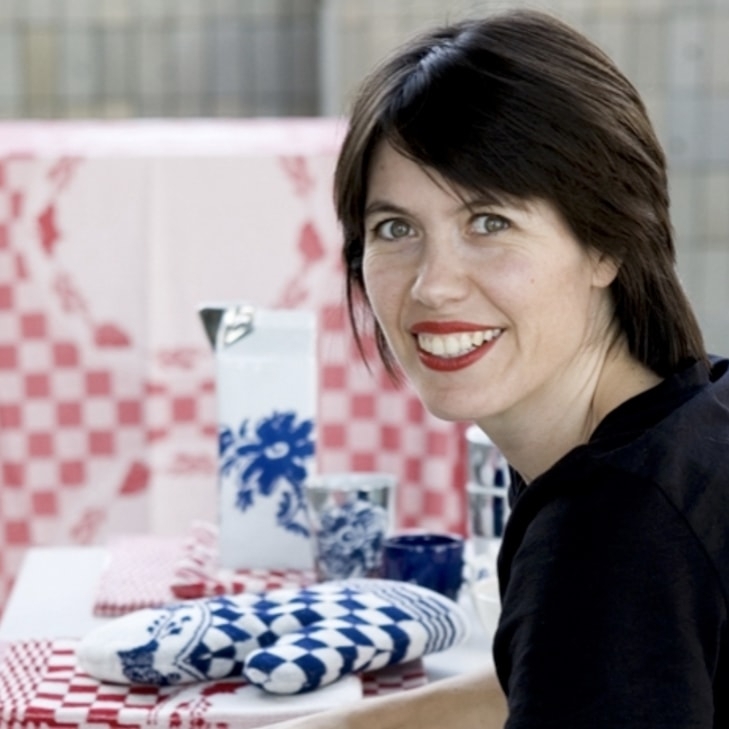 Surprise your friend or colleague with a great gift in a beautiful gift box. In this Happy Bird series there are also matching Happy Bird earrings. This particular necklace from Soonsalon shows not only the expertise of 3D printing, but also the style and outlook on life of Soonsalon. The necklace will bring spring into your life and put a smile on everyone's face. 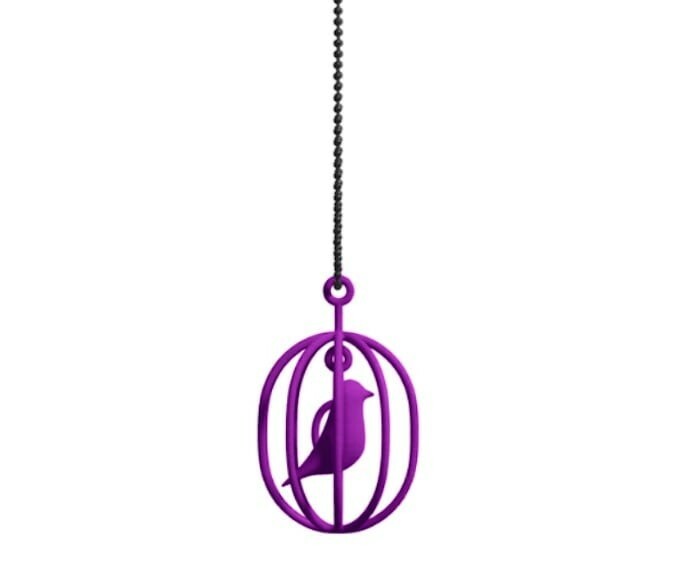 Happy Bird sings its happy song in a delicate cage that hangs as a pendant on the necklace. 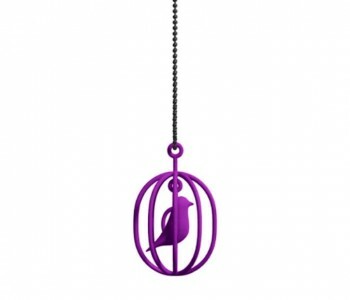 Both the bird and its cage are made of 100% polyamide and the ornament hangs from a nickel-free black metal chain. The pendant is 5 cm high and has a diameter of 3.2 cm. To finish off your outfit in style, there are also matching earrings. Happy Bird earrings and jewellery are an asset to every bird lover, adventurer, creative and a special gift for anyone who loves freedom, lightness and a little craziness.